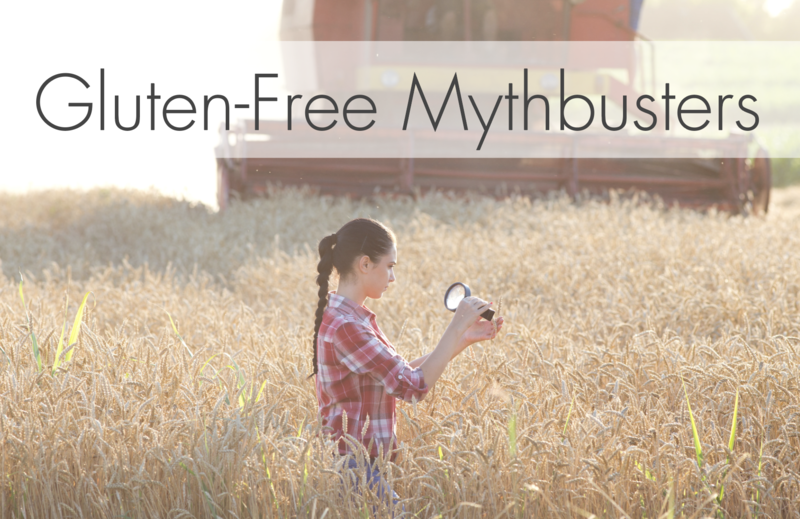 5 Gluten Free Myths… Busted! As gluten-free dieting has gained popularity as a diet trend, misconceptions about the diet have also gained traction. We have busted through five gluten-free myths for our GluteGuard community to make sure that we’re enhancing everyone’s gluten-free diet knowledge with content that is informed and correct! Perhaps owing to the word ‘diet’, people frequently associate dietary gluten exclusion as an effective means of weight loss. However, this is not necessarily the case. Individuals trying a gluten-free diet for the first time often report weight loss, but that may be due to what is eaten instead of foods containing gluten. Starting a gluten-free diet means swapping your morning muffin for a piece of fruit, your lunchtime sandwich for a salad and the replacement of carbohydrates at dinner with additional veggies. Often wheat flour may be substituted for flours such as rice or corn, which are significantly lower in protein and fibre, whilst yielding a greater energy content. Losing weight due to a gluten-free diet is a fairly temporary side-effect, but one that is certainly welcomed by many people! Whilst technically true, as the oat itself contains no gluten, they contain avenin, which is a protein similar to that of gluten. Research has demonstrated that gluten-sensitive individuals display limited immune responses to avenin, but it is best to remain wary of including oats in your diet if you are extremely gluten-sensitive. Oats are often grown in the vicinity of wheat and are at risk of wheat contamination in the field. Furthermore when harvested, processed, stored or manufactured, equipment that has handled gluten-containing grains may be used for the oats too. Specific gluten-free oats are available in your local supermarket– be sure to read labels carefully! Unless you have spoken to your healthcare practitioner and have been given a diagnosis on the spectrum of gluten sensitivity, a gluten free diet will not necessarily benefit you. There are numerous considerations to be made when following a gluten free diet – it is not something that should be taken upon lightheartedly. Careful consideration is necessary to ensure essential nutrients are not omitted. While the origins of gluten lie in grains, this does not exclude it from popping it up in other products. Gluten can be found in any number of foods, often when you least expect it! This is why becoming a label-reading expert can help you properly maintain your gluten-free diet. Only very recently have questions been raised about gluten consumption, previously gluten was consumed with little concern. It is worth noting also that recent changes to the way we consume gluten may be responsible for some of the ill-effects experienced by those with gluten sensitivity. Gluten containing products are now made of highly refined white flour, which makes the products vastly different to the ones that humans consumed hundreds of years ago! Coeliac UK. Oats. Gluten-free Diet and Lifestyle: Available from: coeliac.org.uk. So what’s the answer to the statement in #5 myths above? Are they or aren’t they? Hi Nora, thank you for your question. There is a common belief that humans are simply ‘not meant to eat gluten’, whilst this is supported by the fact that grains were only introduced to our diet between 40,000 to 10,000 years ago, the truth is that the vast majority of people can digest ‘modern’ gluten containing products with no issues. In other hand, the continuous rise in non-coeliac gluten sensitivity is commonly attributed to highly processed grains and other additives used in the food manufacturing process. However, researchers found that the use of fertilisers or other additives doesn’t affect the structure of gluten and its toxic and immunogenic peptides and rather attributed the rise in sensitivities to awareness and more accurate to diagnosis (1).